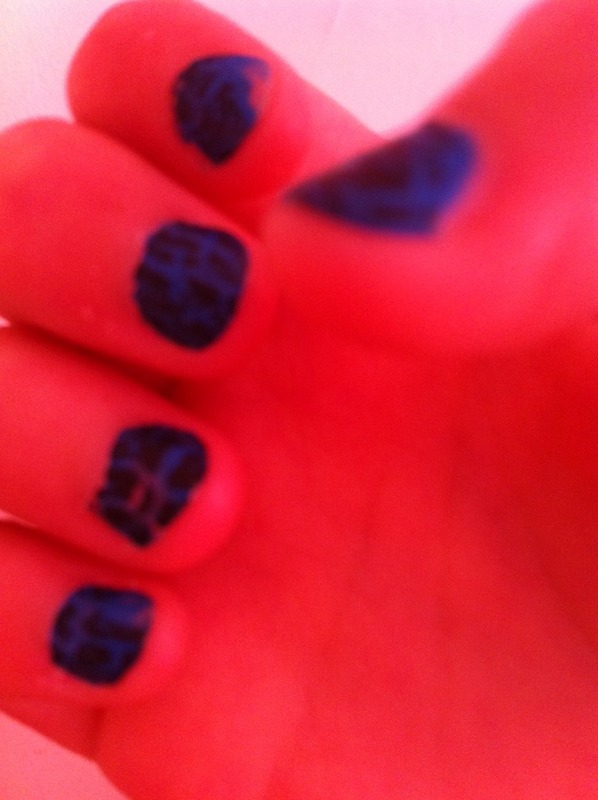 Paint your nails with normal nail varnish. Instead of waiting, put freshly painted nails into cold water and they will be dry in 3 minutes. Paint over the nails with SMASH and wait for the magic to happen.